Seamark Ceramic has advanced technologies, rich management experiences and equipments to manufacture all kinds of alumina to meet the customers’ requirement. 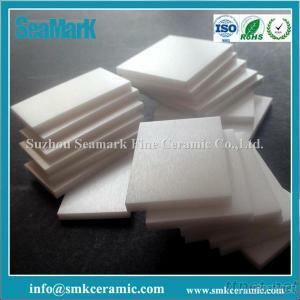 the main material in Seamark ceramic including 96% alumina ceramics (Al2O3), 99% alumina ceramics, Zirconia ceramics(ZrO2), Silicon carbide(Sic), Silicon Nitride (Si3N4). Whether you are a tooling manufacture or end user, our specialists are available to provide full engineering and technical support throughout the concept, design, and production stages to ensure maximum performance of our material is obtained. 2. High temperature, Max working temperature: 1700C. 4. Good chemical corrosion resistance under high temperature.